A Newbie-Friendly Method That Makes You "$50 - $999"
The full video tutorial lasts less then 20 minutes. That Pay $50 - $999 for your unique 10 words. 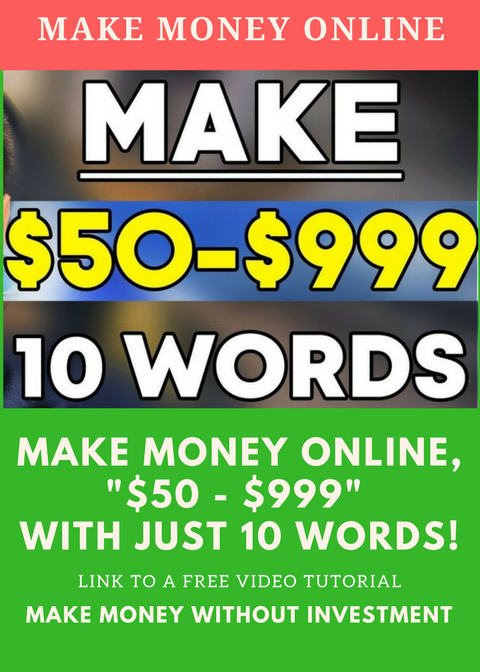 (2018-03-30, 01:39 AM)bookiekiller777 Wrote: A Newbie-Friendly Method That Makes You "$50 - $999"
I updated your original post for you. Sounds good, Thank you for sharing the method with us.